Sen. Marco Rubio (R., Fla.) and Rep. Mario Diaz-Balart (R., Fla.) are urging President Trump to direct the Justice Department to review whether to indict former Cuban President Raul Castro for the illegal shoot down in 1996 of two American civilian aircraft that killed three Americans and a U.S. legal resident. Rubio and Diaz-Balart on Tuesday sent a letter to Trump commending him on his "expressions of solidarity with courageous pro-democracy activists" in Cuba and asking him "within all applicable rules and regulations" to direct the DOJ to look into the Cuban government’s alleged downing of the two U.S. aircraft in 1996 and determine whether to indict Castro. "In the spirit of Cuban Independence Day, we urge to consider new additional actions to hold the Castro regime accountable for its crimes," Rubio and Diaz-Balart said in the letter, referring to the independence Cuba won from Spain on May 20, 1902. The civilian aircraft were flown by the Miami-based nonprofit, Brothers to the Rescue, a group formed by Cuban exiles opposed to the Castro regime who aimed to help Cuban people trying to flee the communist island nation by raft and make it the United States. The group’s planes at least once dropped leaflets on Cuba advocating for dissident resistance against the Castro dictatorship. The Cuban Air Force shot down the planes in international airspace on February 24, 1996, as they were returning to Florida, killing the three Americans and one U.S. legal resident. The U.N. Security Council and other international powers condemned the incident while the Castro regime argued it was justified because the planes were trying to destabilize the Cuban government. Rubio and Diaz-Balart recalled in their letter to Trump how after the incident the U.S. federal court indicted the head of the Cuban Air Force and the two MiG pilots responsible for the planes’ downing on charges of murder. U.S. courts ultimately convicted a member of a Cuban spy ring operating in the United States for conspiracy to commit murder for his role in planning the shootdown; he was sentenced to life in federal prison. Rubio and Diaz-Balart then slammed the Obama administration for "shamefully" commuting the spy’s sentence and allowing him to return to Cuba for a "hero’s welcome" as part of its "appeasement policy" with the Castros. 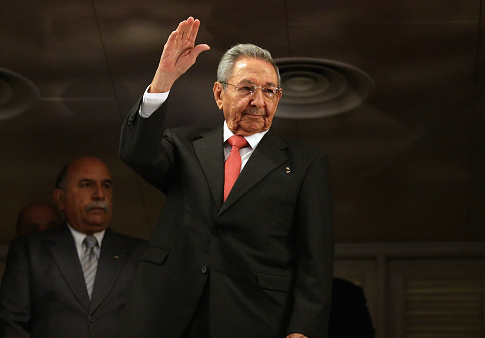 "However, the Cuban operative ultimately responsible, then-Minister of the Revolutionary Armed Forces Raul Castro, was never indicted," the lawmakers wrote. In addition, the lawmakers pressed Trump to direct "the appropriate agencies to assess whether INTERPOL ‘red notices’ should be issued for the arrest and extradition to the United States of all Cuban operatives responsible for the deaths" of the four members of the Brothers to the Rescue. "Taking these bold actions would demonstrate to our adversaries that they cannot act with impunity against Americans, and that human rights abusers and criminals will be held accountable for their crimes," Rubio and Diaz-Balart wrote in their letter. "Most importantly, it would send a signal to the Cuban people that the United States will not permit their oppressors to operate without consequences." This entry was posted in National Security and tagged Marco Rubio, Raul Castro. Bookmark the permalink.